Shopping is a virtue and with the new season coming forth it's also a must! 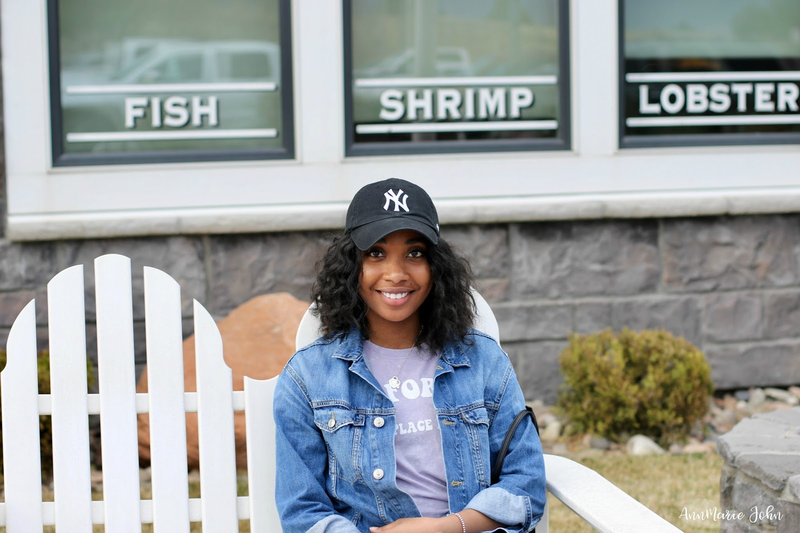 I recently made a simple purchase at one of my favorite beauty stores, Sephora of course! Since my birthday is literally in 5 days I really wanted some new nail polish appliques since I don't have much time on my hands to go to a nail salon and because I'm a beauty insider I also had the chance to receive my deluxe birthday gift. I found some really cute TRENDTIPS from Sephora by OPI that happened to be on sale for only $6 online. They reminded me so much of the Incoco nail polish appliques I used a while back and absolutely loved. I chose the "Feathers" an "Floral" TRENDSTIPS to try and I'll definitely post a "review" on them when I get a chance to show you how they actually look on my nails and if they're worth it which I'm hoping they totally are. For 2014, Sephora's birthday gift are the deluxe minis from MAKE UP FOR EVER. This set includes the rouge artist natural lipstick and smoky extravagant mascara minis. The set is free during your birthday month so I made sure to grab mine at checkout. A perk for shopping at Sephora online is that you can choose 3 samples to add to your order for free! These samples are updated daily for when new ones arrive or if others are out of stock. It's great to test things out before purchasing full size products. Some of my favorite products today started out as samples so you never know what you'll find and soon love. The idea of this post today was not to brag about my purchase, trust me! I actually have a new self-sponsored giveaway to announce that relates to Sephora. Since spring is coming up and most of us like to change or update our beauty/skincare routine I figured that a giftcard to my favorite store can help out! I managed to save up some money for my blog to host a giveaway for a $50 giftcard to Sephora. Don't worry if you don't have a Sephora nearby. You can always order online which can actually work out to be great since some items are not available in stores that are online and vice versa. 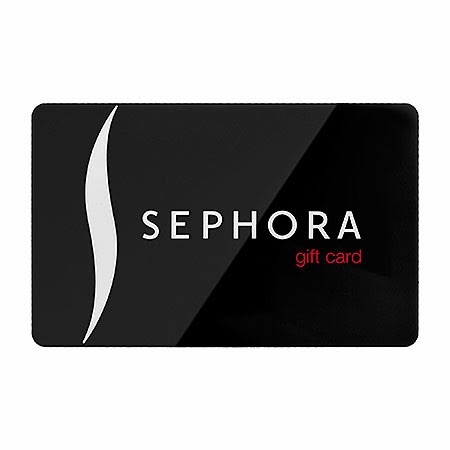 What will you purchase with a Sephora giftcard? I would purchase a fragrance I've been long wanting to have. It is a spring-summery fragrance called Beyond Paradise and it is produced by Estee Lauder. I would chose the Pure Grace Perfumed Body Lotion. Smells so good! I am in desperate need of updating my make up bag. I keep putting it off but I have been stuck in a rut with the same shades of eye shadows and lipsticks for a year now. It's time to break out and try some new colors and combos! I definitely need to go to my local Sephora store. I haven't been there in much too long a time. I do love the minis that came as your birthday gift. I would buy some new perfume. I would get some body lotion. I love their stuff! I've never shopped in Sephora it looks expensive. I would buy some bare minerals makeup! I would probably use it towards a new eyeshadow palette. Oh I love those nail strips! Have a pair on now! I would love to buy some perfume!! After reading this, I think i want Deluxe minis from Make Up For Ever. I have never had the pleasure of using Sephora before. I would like something for my lips and hair. I would take my niece and let her pick out some perfume and makeup. I want to try some BB Crème. I don't know! I'd be like a kid in a candy shop.....i've never shopped there before! I would probably send it to my daughter because she is the starving college student in NYC and can't afford the make up she loves! She would go crazy for this gift card! I am in need of new eyeliner and mascara at the moment. I have been stretching what I have now. I need to replenish my mascara. Fresh start to Spring. I would get some wonderful skincare items to help my skin be beautiful!! Lipsticks for spring! Maybe try the berry trend? makeup brushes and concealer !!! I would love some new makeup, blush and mascara esp. I would get a new perfume I've had my eye on for awhile! Perfume and Sephora mascara. I received a sample of their mascara a few months ago, and I love it. I'd maybe buy some new perfume. Buy either perfume or body lotion. I will use it towards perfume. I would extend my makeup collection, I only have a small amount of makeup due to lack of money! I would purchase under eye concealer. I would purchase fragrance, thanks! Definitely eye shadows.. I am obsessed!! I need some new foundation!! I'm not 100 percent sure but I think I'd get some liquid eyeliner of some sort. Some pure grace perfume ! I will buy eyeshadow, eyeliner and perfume. I would buy foundation and mascara. I would buy some mascara and eye liner. I would buy some new eyeshadow! I would give it to my daughter so she could buy some new make-up! I would buy Bare Minerals foundation. I am in need of some advice when it comes to foundation, so i would probably go and ask some questions and purchase some proper foundation. I would get myself perfume and mascara! I would purchase some contouring products and highlighter. I will buy makeup and new lotion! I would like to buy a new Marc Jacobs fragrance. I adore his original. I would buy my cousin, who just finished her cosmetology schooling, a Sephora kit to get started in her career. I need some new eye makeup,so I would get a liner and pencil. I would buy some philosophy and I need some tinted moisturizer, and may-be some little things to save for gifts--who knows? I like philosophy bubble bath. A nice foundation and lipstick! Their fragrance sampler (where you get several samples and then you can turn in a voucher for 1 full-size bottle). Sephora has the best selection of nail polish, since I'm always ready to change the color of my nails I pretty sure I would spend it all on nal polish. The trend tips and some hair care products! My daughter loves nail polish, so I'd probably buy polish. I will probably get a new perfume. I would get some new cologne. I would get Soap and Glory products..preferably body wash. It smells heavenly! I would choose a nice foundation to purchase with the gift card. I want to buy concealer and contouring kit with this! thanks! I would buy some new mascara. Use it for my daughter to get her makeup done for prom. I'd get my sister a favorite bottle of her Chloe perfume for her birthday! I'd get a Stila palette. I would buy a great mineral face powder. I would buy eyeliners and eye shadows and good face makeup! Hi, I would probably buy nail polish to add to my collection. Thanks for the Giveaway. I would purchase Bare Minerals foundation. all sorts of goodies...but lipgloss would be for sure a purchase! I would get Make Up For Ever's HD pressed powder! I've never been in a Sephora before. I don't know what I would buy yet, but I do like the nail wraps you showed above. Punchtab isn't behaving...doesn't let me unfollow+refollow and count the entry. Please try giveawaytools or similar. Oh wow.I would give it to my daughter who is training to be a Dr.she works with kemo therapy patients.this would give her a huge relief.and she can get something back for all she gives.Thanks .Anita Kennett. this would go straight to my daughter! I would actually gift this to my daughter who loves to shop at Sephora! It's a birthday present for my sister! I think she will buy some nail polish. I really need some new foundation. I would actually give it to my mother for her birthday, since it's coming up soon. I will purchase a new perfume. body lotion. I love to try new ones. I would sell it online for amazon.com money. I'd get the NAILS INC. Autumn Winter Collection. I'm always looking to add to my nail polish collection! I'd get the NAILS INC. Spring Summer Collection. I'm always looking to add to my nail polish collection! I'd get Marc Jacobs Daisy fragrance. I would get Nars blush. Foundation, concealer, blush and powder. I would get Hugo Boss cologne for my hubby! I need new moisturizer and facial cleanser - love Sephora! I would buy body wash and lotion. I love sephora purse size makeup compact, so that's my choice. I'd buy perfume, for sure. I'd buy Smashbox Phoo Finish makeup. Have never shopped a Sephora so I would go get advice and probably some bare minerals. Wrinkle cream and nail polish. Plus I'm currently loving Smashbox products. I will purchase a Philosophy gift set! I would put it either into a Naked 3, or a very very good powder brush. Or perhaps something Hourglass. Decisions. I would like to try their lipsticks and my daughter would like some mascara. I'll buy fragrance, probably some Tocca rollerballs. Love the Cleopatra and Collette! I would love to treat myself to a perfume! My daughter loves this store. I will be giving the card to her. I would buy a new eye shadow palette!